What Causes Skin Cancer? – Find Out The Truth Now! Discover what causes skin cancer and why some people get it. Find out 10 natural remedies you can use to defeat skin cancer without using toxic treatments. ​Learn the reason why people suffer from bread allergy. Discover if you should eat bread if you have cancer. Find out three things that cause wheat allergies​ and how to reverse it. Is Soy Healthy? Can You Eat It If You Have Cancer? ​Is soy healthy or a health hazard? Discover which soy products you can eat if you have cancer. And also learn why you should avoid GMO soy and fake foods. 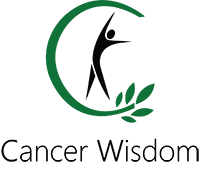 ​Are your family members against your decision to heal your cancer with ​alternative cancer treatments? This video explains to them why you want to do alternative cancer ​therapies and not chemo. ​​Read about Alfredo's amazing cancer survivor story. ​Follow his journey from when ​he knew he had cancer to when he was cancer free. ​​Learn what natural remedies ​he used to defeat cancer without ​chemo, radiation, and surgery. Find out what mistakes he made so that you don't have to repeat them. What Are Chemtrails? Learn The Truth Now! ​​Learn how to start a vegetable garden and fight cancer. Discover the dangers of GMOs and fertilizers and how to avoid them. And find out how to grow your own vegetables without hard work or weeds! ​Discover ​why toxins are the real reason for cancer recurrence. ​And learn 9 ways you can prevent cancer from coming back and stop worrying about it now.